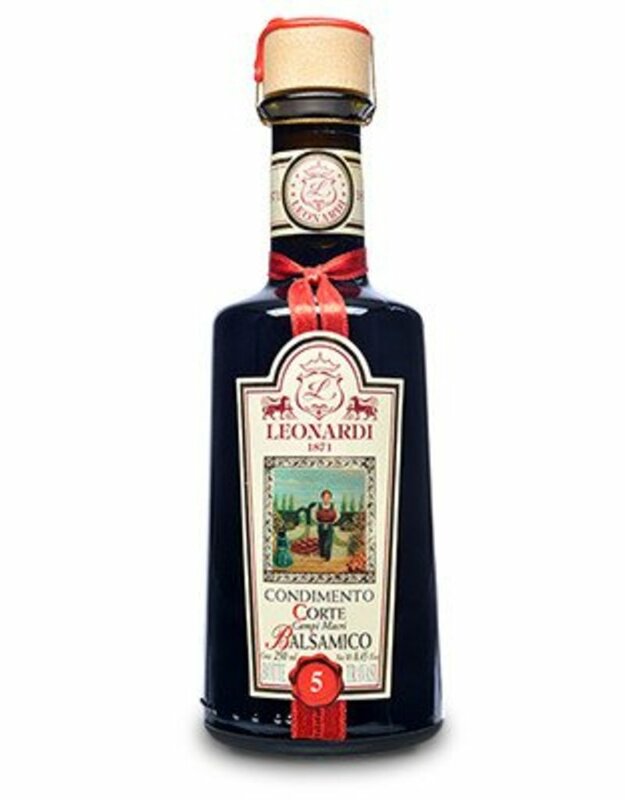 Acetaia Leonardi La Corte 5 Year Balsamic - Miam! 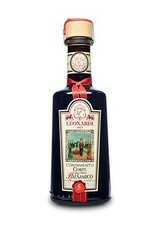 La Corte (the court) is a bottling from a barrel in a batteria that has been topped-up at least 5 times. Subtle notes of butterscotch and toffee are the back-bone of this medium-syrupy Balsamico. Nutty flavors to accentuate in sauces and marinades for meats, especially as a substitute whenever red wine is included in a recipe. Drizzle over fire-roasted beets or stir in pumpkin puree for additional sweetness and complexity.